Doctors and clinicians should stake a voice in the blockchain discourse now because there are consequences for not doing so. Blockchain’s big potential to fix a broken healthcare system, and all the hype surrounding it, often feel to me a lot like the word game Mad Libs. Example: The digital distributed ledger technology could finally solve ___ and ___. It can reimagine ___. Having an unchangeable record can enable ___ ___ that will ___ ___. The emerging use cases span the gamut from ___, ___, ___ and ___ to ___ and ___. You get the picture. Many of you will even be able to fill in those blanks without giving it so much as a second thought. But we’ve been here before. An emerging technology brings so much promise that it feels like a distant horizon and the very people who need to be paying attention are, rather unfortunately, not necessarily doing so. In this case, it’s not just the IT gurus, hospital leaders and innovative entrepreneurs but also clinicians, doctors, nurses, everyone who touches a hospital’s technology, in fact. Physicians, meanwhile, are to a great extent absent from the discussion. In fact, only one-quarter of the 3,700 doctors worldwide surveyed by Sermo recently thought blockchain is ready to enter the healthcare world. A slightly higher number, 28 percent, said it isn't. Taken together, those stats say one thing. A more salient number, however, would be the 47 percent of physicians who responded that they don't even know what blockchain is. I get it. Many doctors went into medicine to help people, treat patients, save lives — not to play with shiny new objects. We should all be grateful for that, indeed. The problem, however, is that sometimes those new toys end up sticking around – even becoming indispensable tools of the trade. 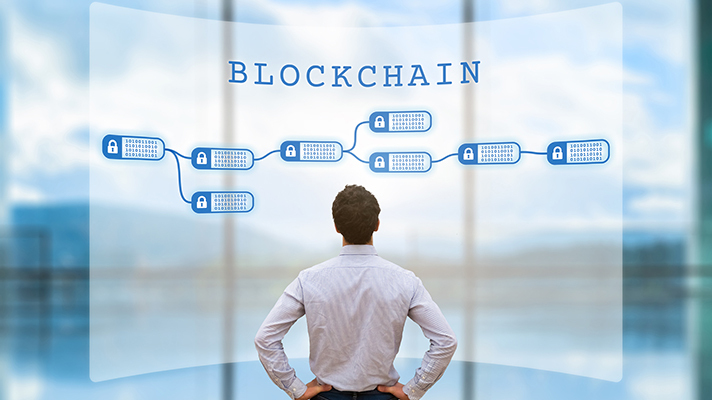 “The greatest implication for doctors not being aware of blockchain technology is that they will not have any impact when the time arrives to make decisions utilizing blockchain technology,” said Linda Girgis, MD, a member of the Sermo advisory board and a practicing physician. Now, what happened with EHRs that doctors, hospitals and the healthcare system should avoid? Here's another word game: Many people believe that vendors developed ___ to meet specific criteria of the ___ ___ program rather than innovating on ___ to make clinicians ___ ___ by giving them tools to deliver ___ ___. Blockchain company Hashed Health’s Chief Operating Officer Corey Todaro echoed Girgis statement in a previous Healthcare IT News article. Indeed, now is the time to join the blockchain conversation to help the innovators and developers shape technologies with doctors, clinicians and nurses experience in mind from the get-go — so when blockchain becomes ubiquitous it won’t be kludgy, burdensome and borderline unusable for lack of input from those who matter most. Read more Innovation Pulse columns from Healthcare IT News.